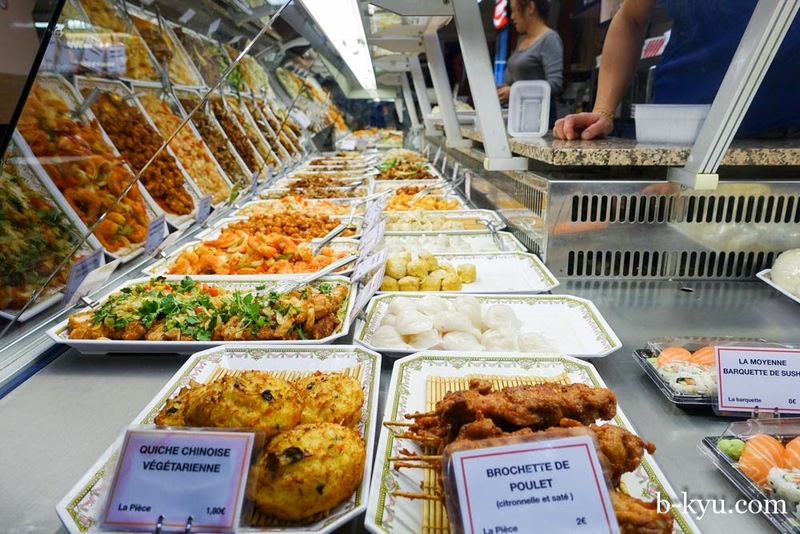 Paris is lucky enough to have three Chinatowns. We were lucky enough to have time to explore two of them, finding a mix of influences from China, Vietnam, Laos and Cambodia. 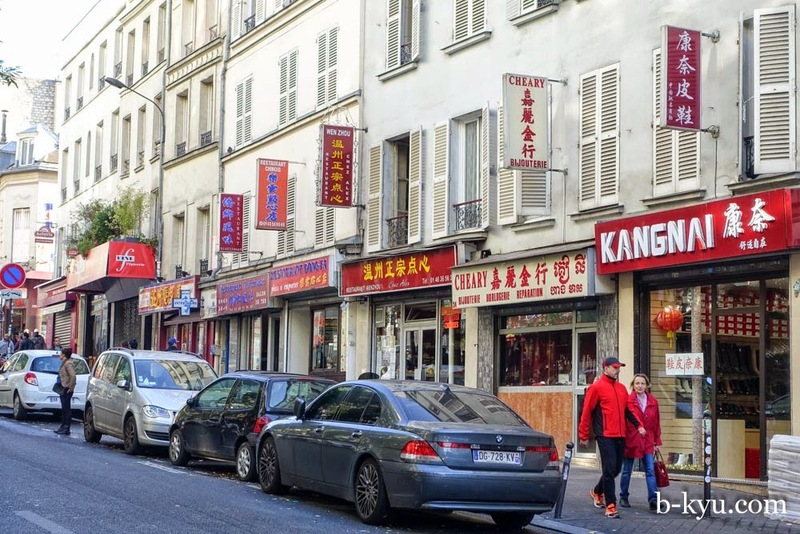 The most well known Chinatown in Paris is the Chinese Quarter (Quarter Chinois or Asiatique), also one of the largest in Europe. 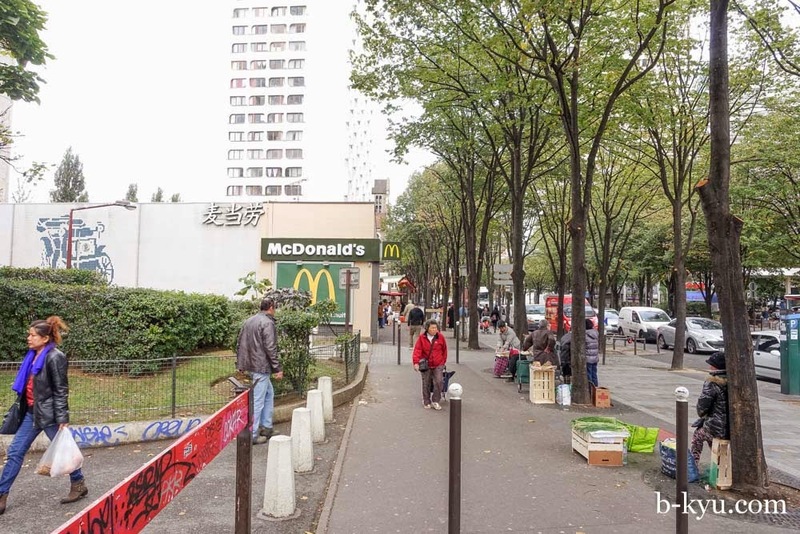 The area is created by three different streets starting up near Rue de Tolbiac to form a triangle: Avenue de Choisy, Avenue d'Ivry form two sides and Boulevard Masséna is along the bottom end. The most striking thing about this Chinatown, down in the 13th arrondissment, is what you don't see. There's no big red arches or gates with lions guarding the entrance. There's no ornate statues, shopfronts and decorations that we are used to seeing in a Chinatown. What you will see is a mix of stores from across Asia, with a large majority of them Vietnamese. We'll cover the Vietnamese food we ate in a different post, especially the banh mi we scoffed across the city. There's a McDonalds with some Chinese script on the front, but the offerings aren't much different. Besides restaurants, the main reason to head down here is the supermarkets. 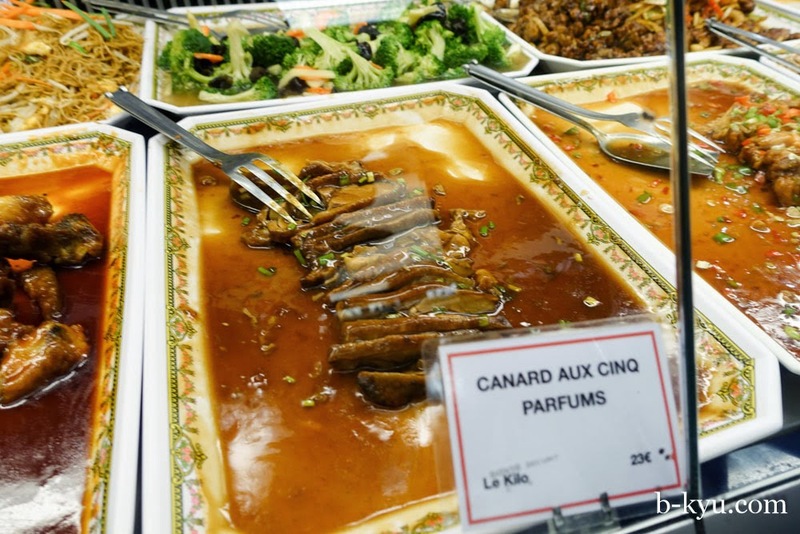 You won't find Asian ingredients in your standard Monoprix, so if you were in Paris for an extended amount of time and needed some fish sauce you would most probably need to head down here. 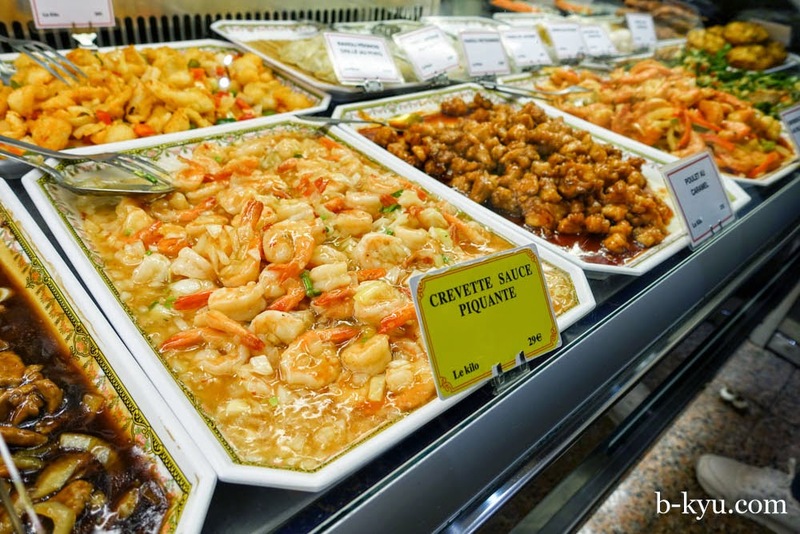 Living in an Asian-centric city like Sydney, the idea that you need a special trip to another part of the city just to get some basic Chinese cooking ingredients is one that would take us some getting used to. 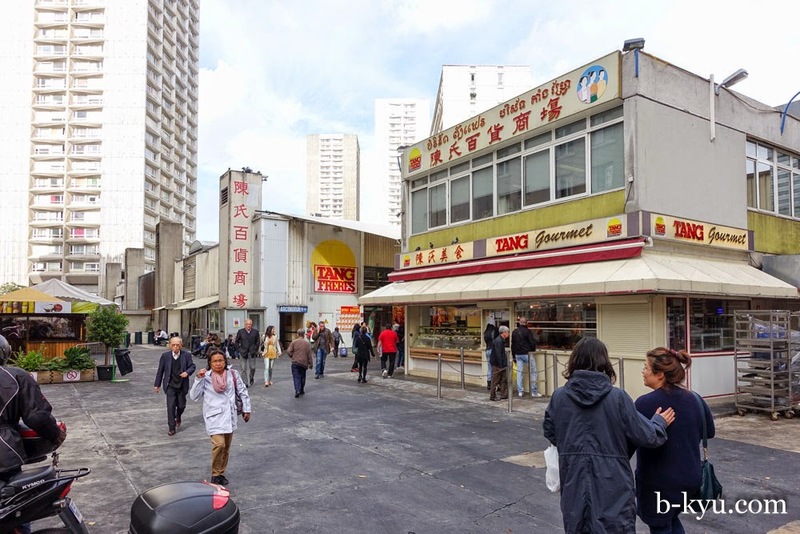 Tang Freres (Tang Brothers) is the largest of the supermarkets here at 43 avenue d'Ivry. There's a small food court area in the front selling steamed pork buns, roast meats and banh mi. There are a few other larger stores with lots of frozen meats and products, so there's a fair amount of choice. If you are looking for Japanese and Korean groceries, the offerings were a little patchy, so you might need to head around the Opera area and Little Japan (also coming in another post). Along some of the pavements is an informal market where growers are selling shallots, lemongrass, garlic chives and mustard greens, most likely grown in backyard lots out in the suburbs. After only a few days in Paris we were craving a noodle soup. 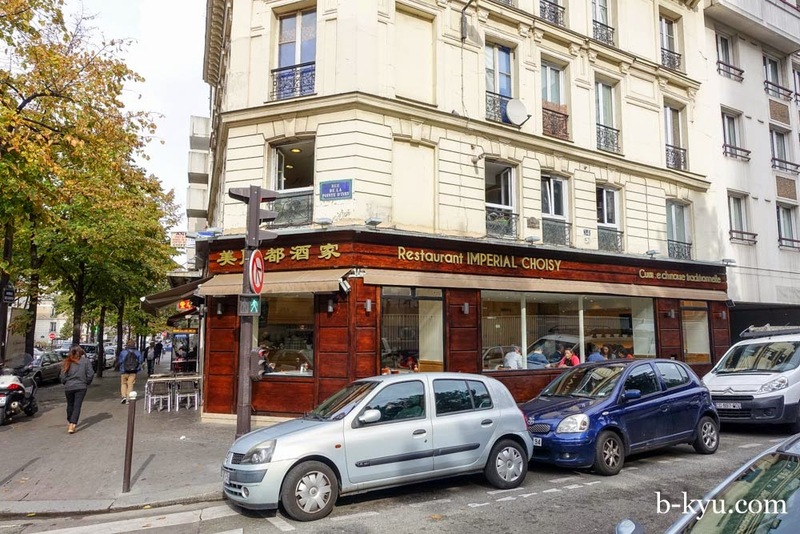 Restaurant Imperial Choisy (cnr Rue de la Point d'Ivry and Avenue de Choisy) was opened earlyish for lunch so we took up a table. The noodle soup had a nice clean broth with a touch of soy. The light springy noodles were less stodgey than at home. 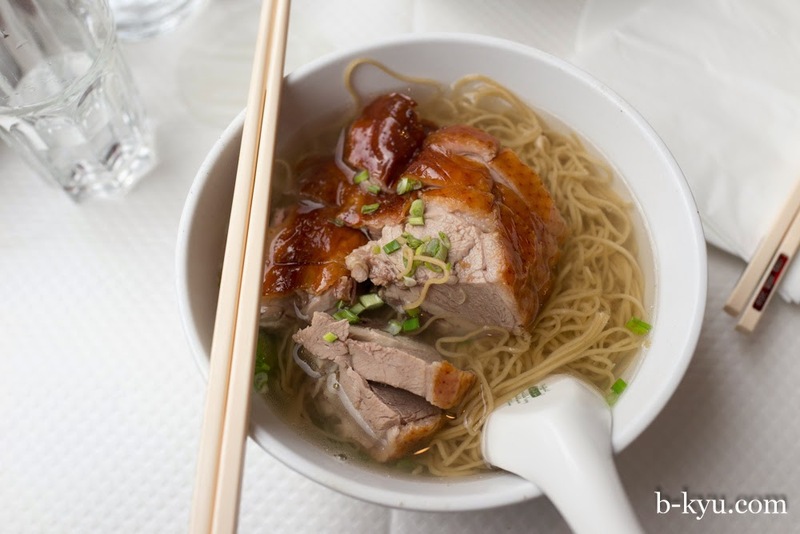 The most interesting difference was the heavier, game like flavour of the duck, something we found didn't work so well for the lighter flavour of the soup. 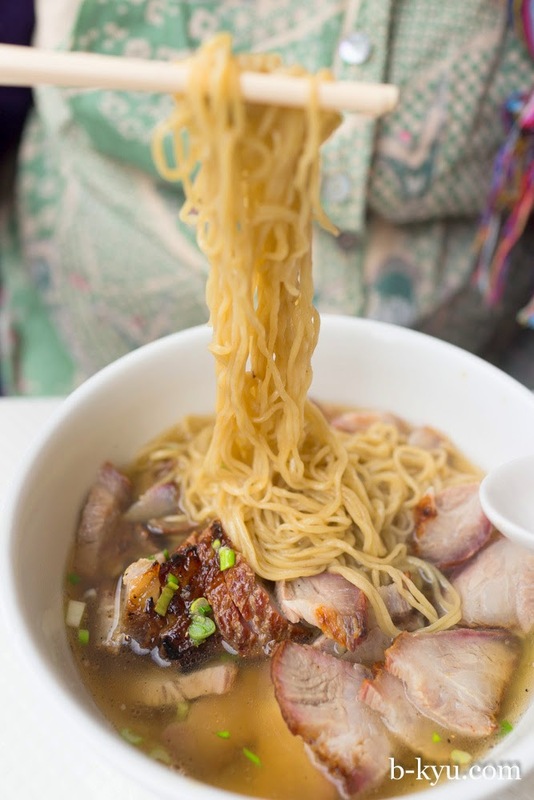 The yellow noodles with roast pork were top notch, and at around 8 euros each they were bargain soups. It felt oddly reassuring being in a Chinese restaurant, something we were more familiar with than the French ways that we were still negotiating. 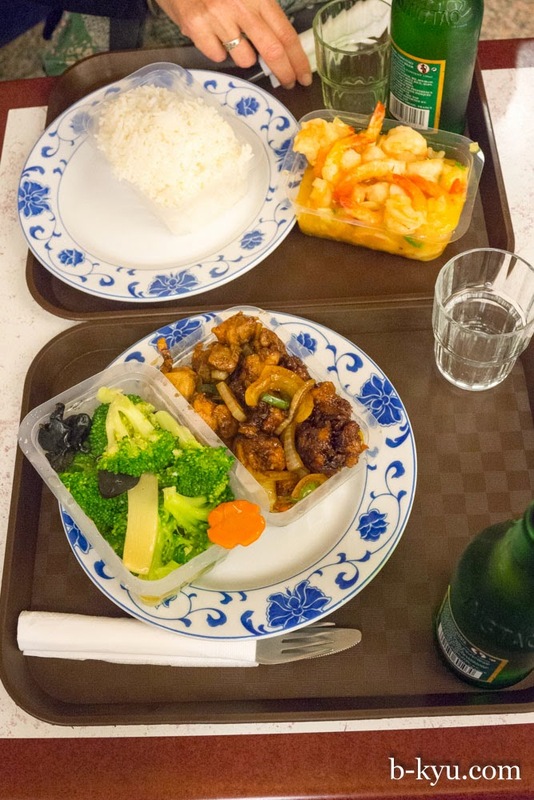 With the French food we sometimes felt uncertain if we'd ordered the right thing or drank from the wrong wine glass, but here the click of chopsticks and the steam of a noodle soup was welcoming. Not being Asian, and not speaking French, we also felt strangely isolated out of both cultures at times. But by the end of the trip we'd found our way around the French table, you just need to start somewhere. 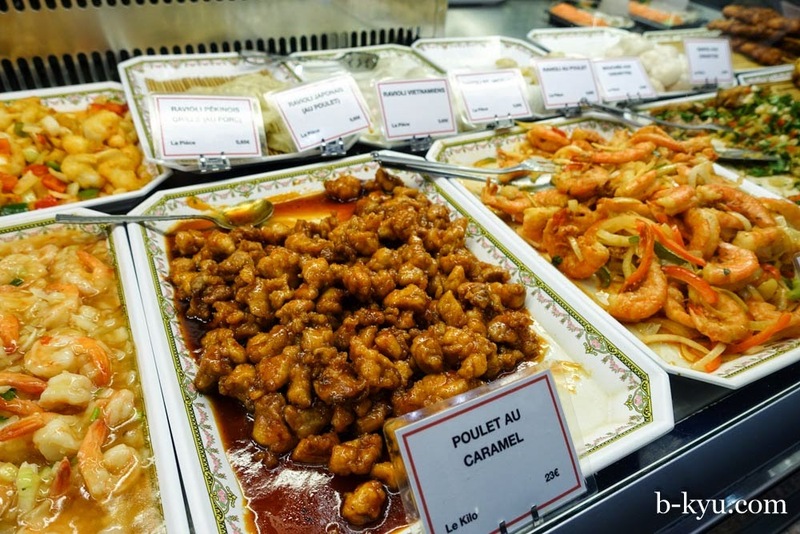 We wanted to sample the food that most French folks call 'Chinese' and compare to the stuff you'd get in an average Australian Chinese restaurant. To make the comparison fair we downed a few beers at the pub first, all in the name research. 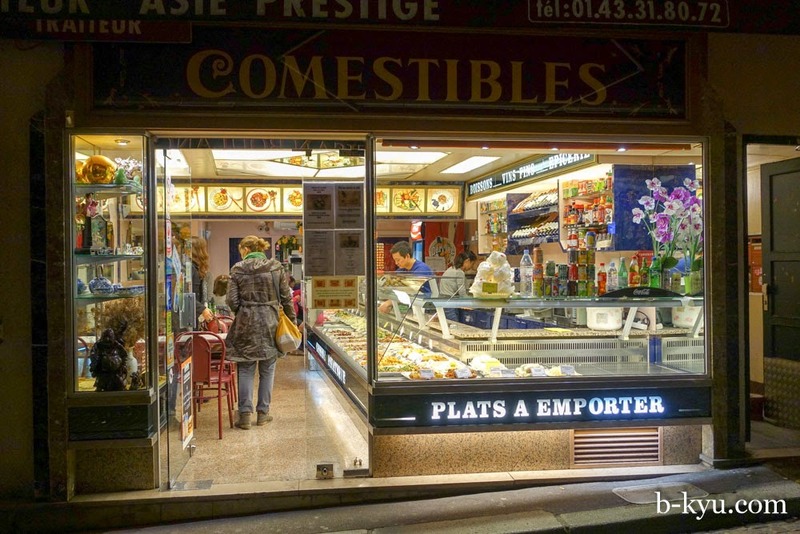 Although the shopfront looks French classic, the food inside was not. 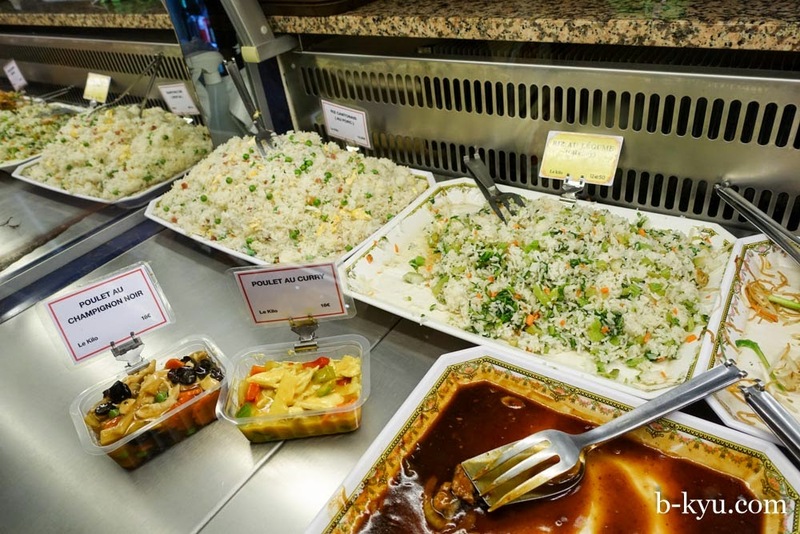 The most intriguing difference we found for many Asian restaurants right across the city was that the food is precooked, cooled and laid out on colourful and attractive display. 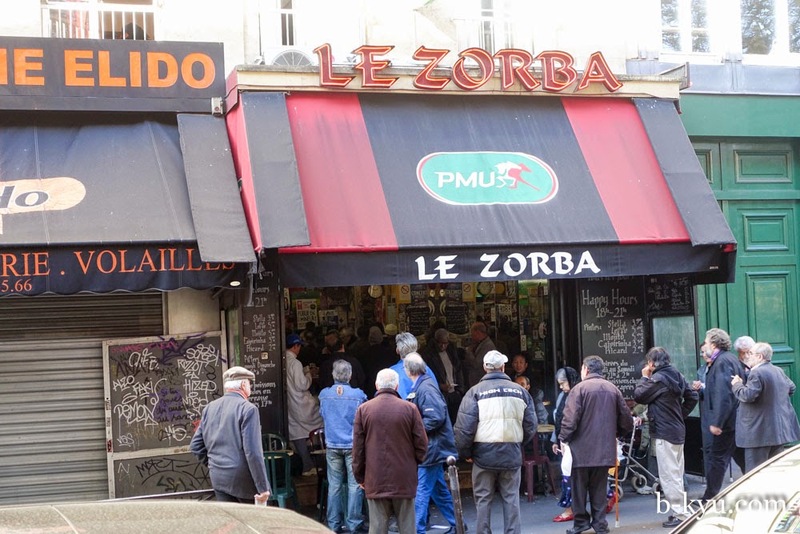 It would be easy to dismiss the style of food but it seemed a big part of the Parisian food landscape and we would much rather eat this than an Aussie Chinese buffet. 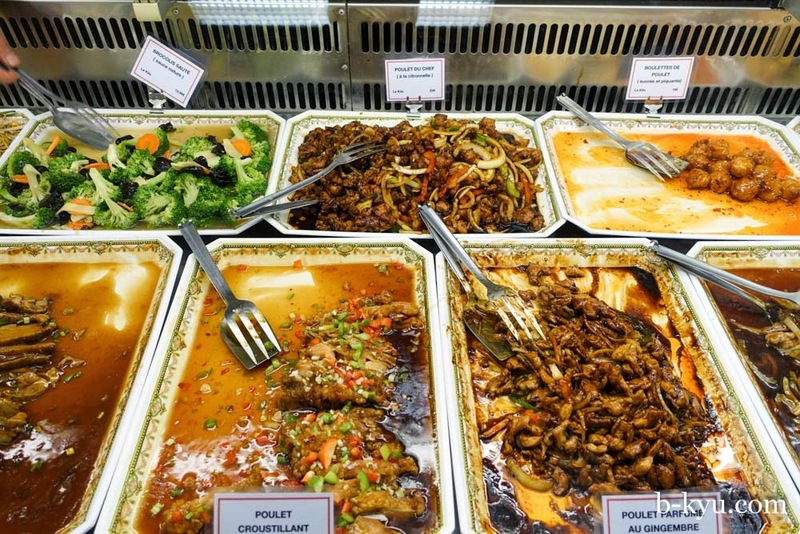 What was also interesting was the homegenity of the Chinese food on offer. 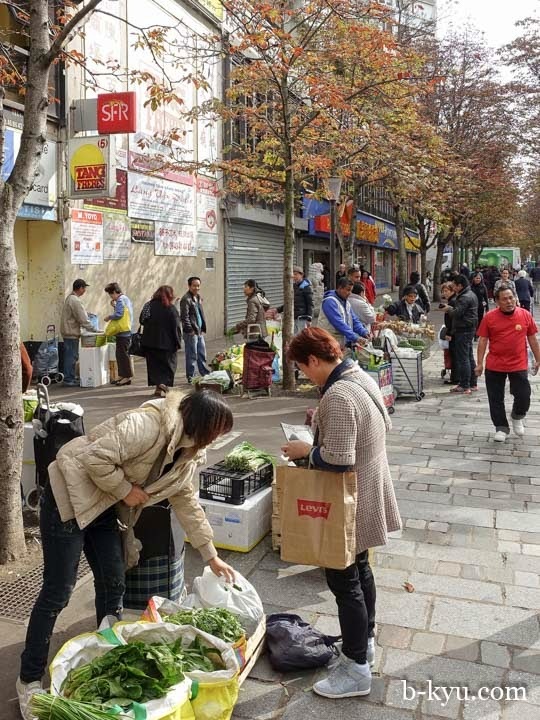 We didn't see any regionality to any of it, except over in Belleville where there appeared to be some places with migrants from Wenzhou that had settled and offered food from their home town. We decided to take a plongee into a place on rue Mouffetard. It was OK, not quite as fluorescent as old style Aussie Chinese buffet but strangely we could imagine developing a fetish for the stuff. You can either buy the meals takeaway or if you choose to eat in, it was microwaved to order, served in the plastic container at your table. 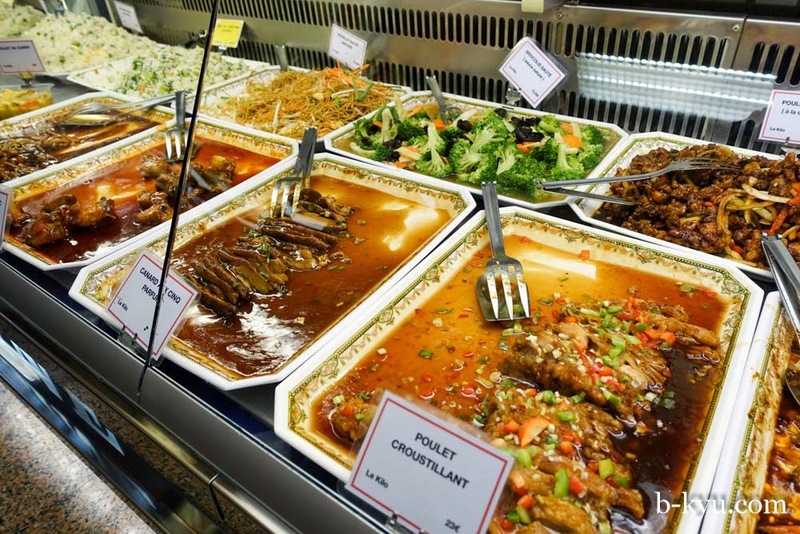 Each dish is sold by weight, with various prices depending on the ingredients (crevette (prawn) dishes were priced higher than legume (vegetable) ones). Chicken in caramel sauce. 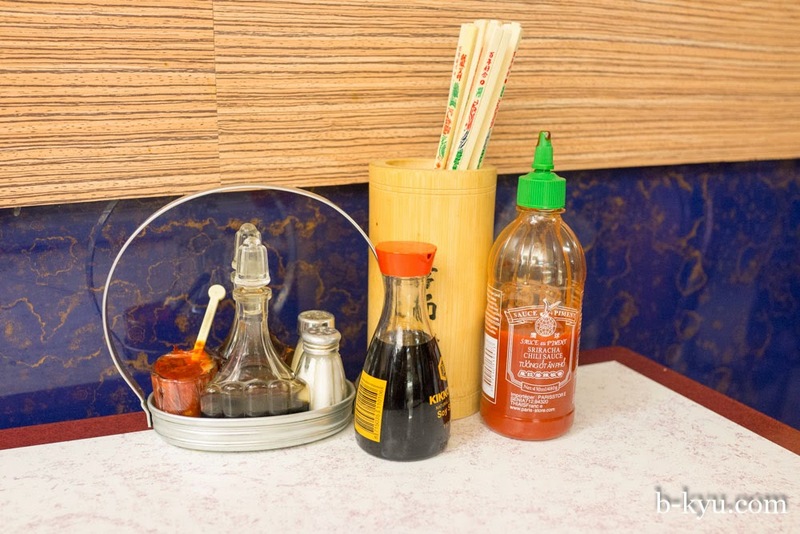 There was sometimes a Vietnamese influence to some of the Chinese dishes. Duck with five spice (or scents). 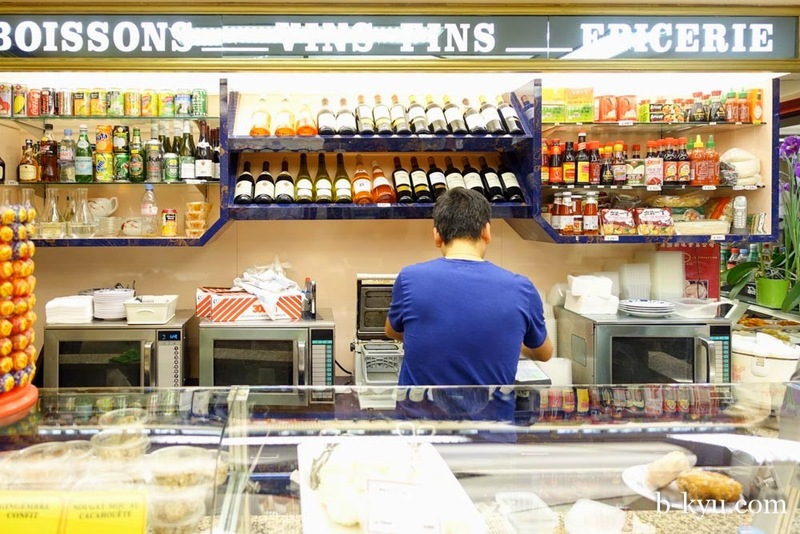 Because we are in Paris, you could buy wine to have with your dinner. The shop also stocked a small range of Chinese groceries, a good back up if you couldn't get to the larger supermarkets down in the 13th. 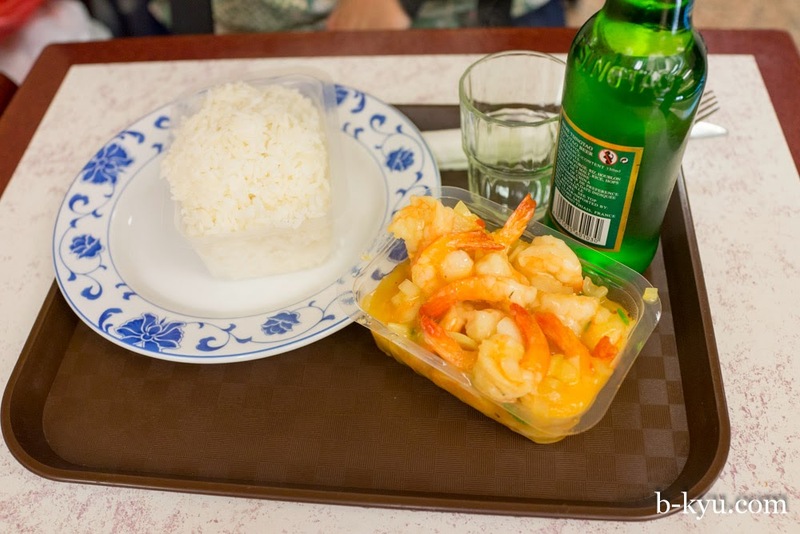 Crevette sauce piquante (prawns in spicy sauce), served in its oh-so-classy plastic food container. Even the rice is served in plastic, on a plate. There was cheap Tsing Tao beer at only €2.50, and a table of happy French bogans out the back. We wonder if this is where they hide the less attractive people in Paris, its like never seeing any off duty staff at Disneyland so the image isn't shattered for the visitors. We come up with a conspiracy theory that us fatties are distributed via underground tunnels, accessed via secret entries underneath Chinese restaurants and Quick burger so we don't spoil the postcard idea of Paris. But we are out there, disturbing the aesthetic. 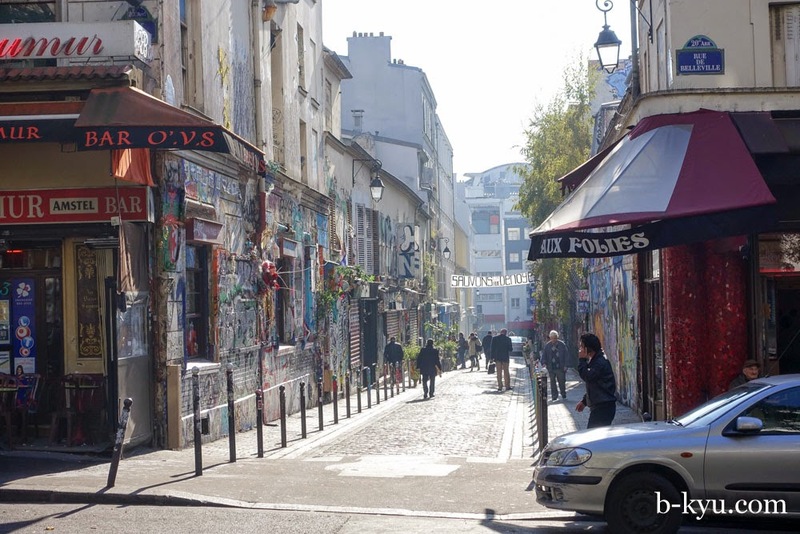 Next up we were eager to explore Belleville which is said to Paris's second Chinatown, indeed it is. It's more buzzy than the official Quartier Chinois which is quieter and borders along a wealthier area. 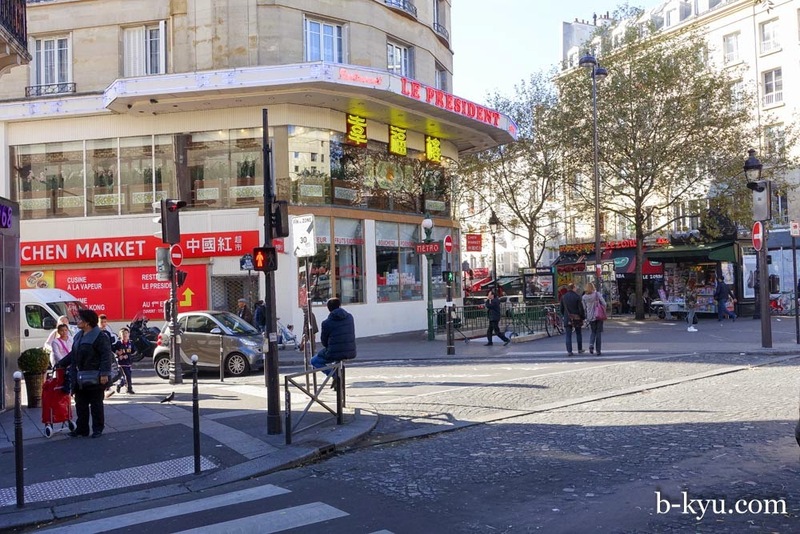 Belleville has more of a buzz though with lots of Chinese and Vietnamese shops and restaurants spreading out from the five way intersection, with Belleville Metro station conveniently in the middle. Traders in the street selling home grown greens. It would be hard to grow this yourself in your little Paris apartment, these home growers must be a godsend to Asian food cooks. If we lived here, being the Asian food tragics we are, we'd make a B-line for these ladies all the time. 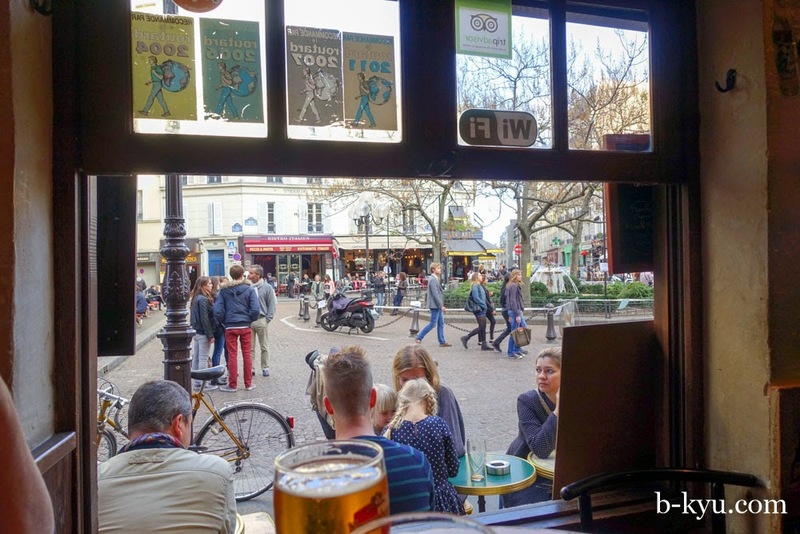 There's a few key streets that have solid strips of restaurants, walking up rue de Belleville you don't need to look far. 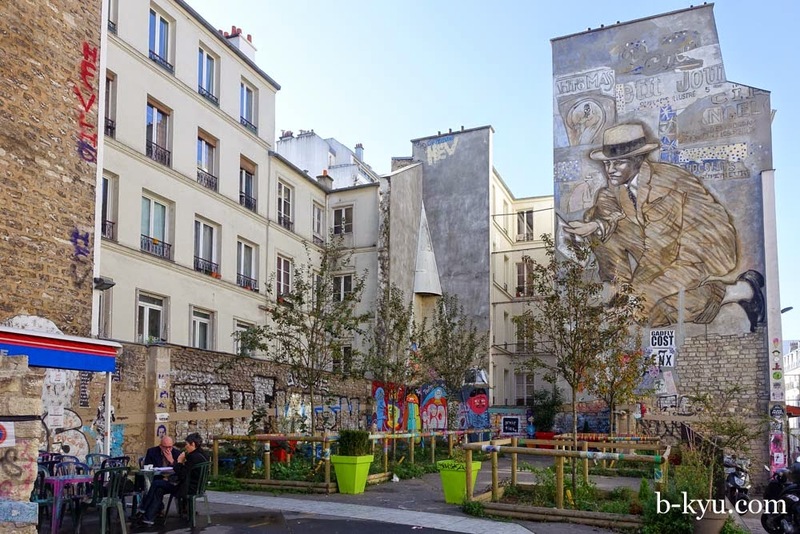 This area is being kept alive by artists who are maintaining the traditions of expression of views and ideas through debate, murals and street art. Like any city area that first attracts artists through cheap-as-chips digs, it also starts to lose those same people when the place is deemed popular and attractive and the rents start to rise. 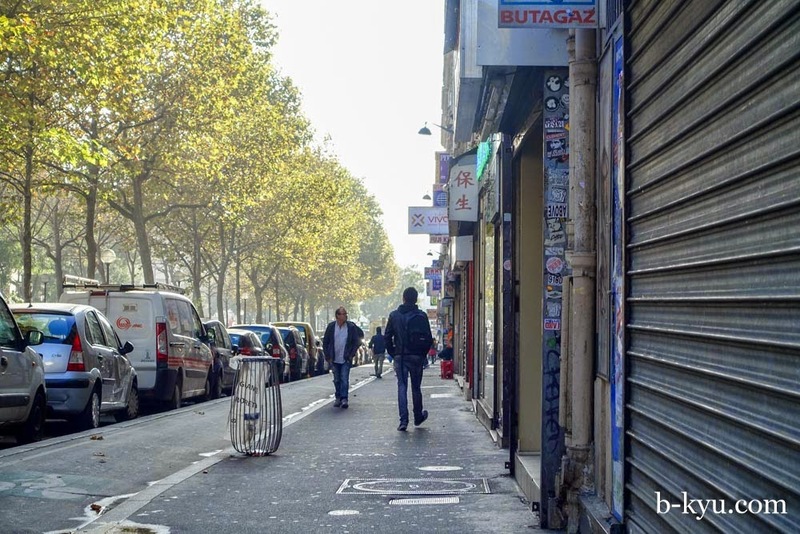 Many shops close in Paris on a Monday and Belleville is no exception, only a half or third of the shops are open on a Monday morning, but there are plenty of men standing around as always. Our breakfast pick for this day is a super buzzing little wedge of a joint called Best Tofu. The place is jammed packed and has that glorious cacophony that only a good Chinese restaurant can do. There's no tables so we stand next to couple of folks who look near finished. We nab our seats and we have no idea how to order, there's a semi-orderly queue at the counter and a couple of harried waitresses. We nab a waitress and wave the victory signal, pointing at a nearby diner's soup: “we'll have two of those.” The waitress asks us more questions that we can't understand but we just nod and say 'oui', it usually works. The tofu in broth set down in front of us is wonderful, the kind of wonderful that only happens in a crazy busy place. 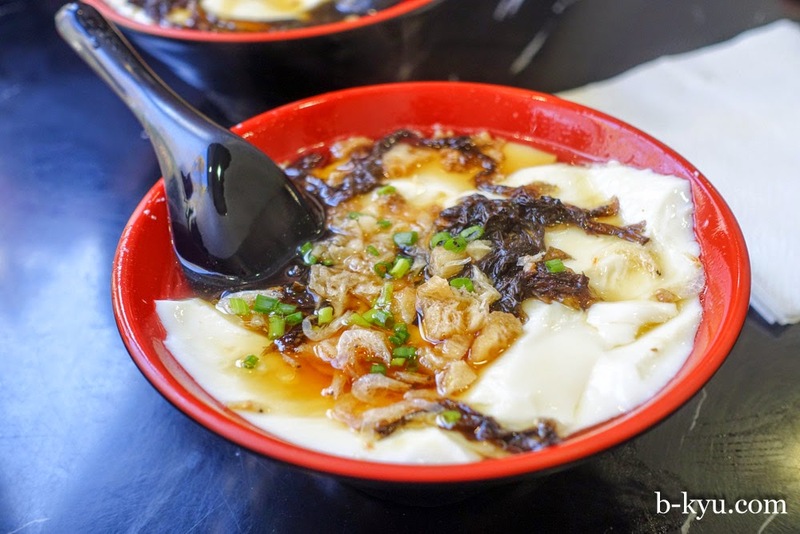 A thin plain but just right broth with hunks of fresh tofu with a firm custard texture, mixed with some black fungus (mushroom), some tiny little fishy bits for a salty kick and a sprinkle of shallots. The hot salty soup against the cool super soft tofu is a textural wonder and the cost of around €2 a bowl makes it even more joyful. This place is a gem, a real little piece of China in an inner-Paris 'burb. We wonder about the joy we found in this simple bowl of soy. We had this right at the end of our trip, and it remains one of our fondest Paris food memories. We realised that when you find something you really love done well, it doesn't matter about where you found it, or the language you ordered it in, you just need to dive in and enjoy. As we near the end of our bowls two folks stand near us awaiting our table, the cycle continues. 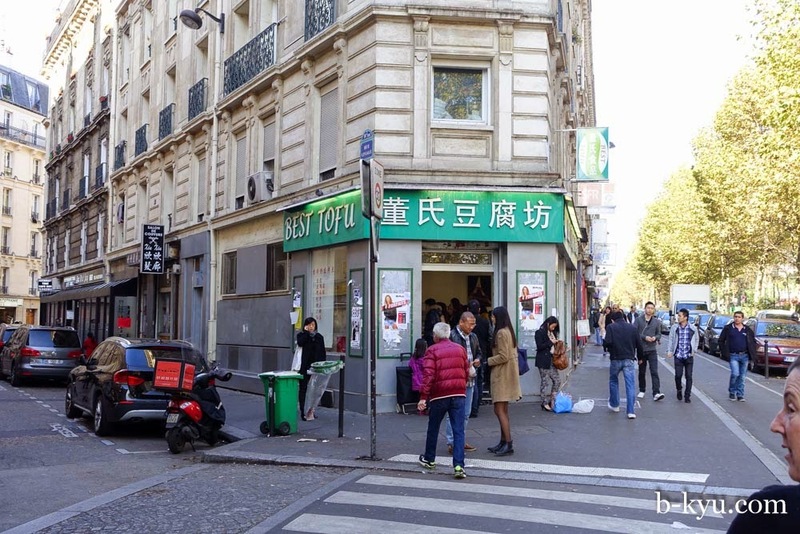 Best Tofu is at 9 Boulevard de la Villette, Belleville. this is all so true! i've just come back from living in london for 8 years, and the regional chinese food is more diverse (i think) than any other european city. but its nothing compared to sydney! sydney ppl are very lucky. We have a special mix here in Sydney indeed. Welcome back and enjoy that diversity. that tofu is literally called tofu flower (doufuhua) and is widely eaten all over china. the best sellers are the small tofu makers but even the big chains like Yonghe will have it. hope you find it in Sydney too! The soya soup looks wonderful! 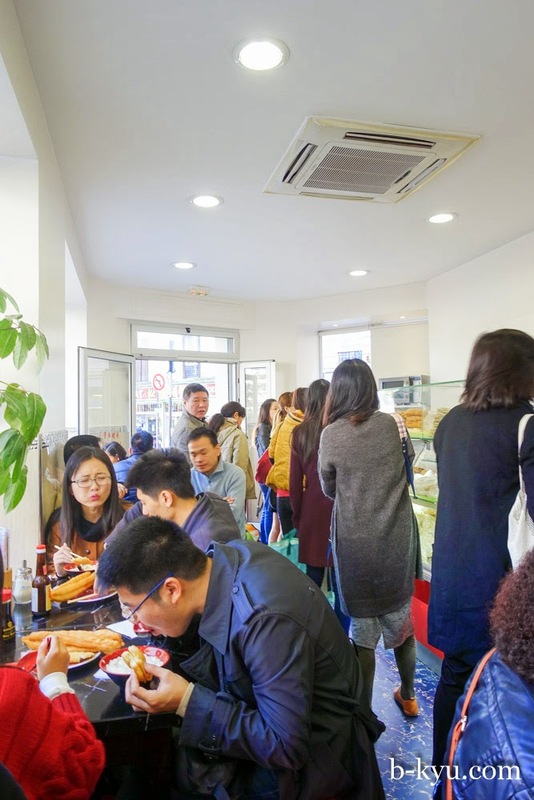 Fantastic write up of Chinatown in Paris, I never knew it was this big!